Herbert Diess warns battery-cars could cost jobs – and may not be as clean as promised. 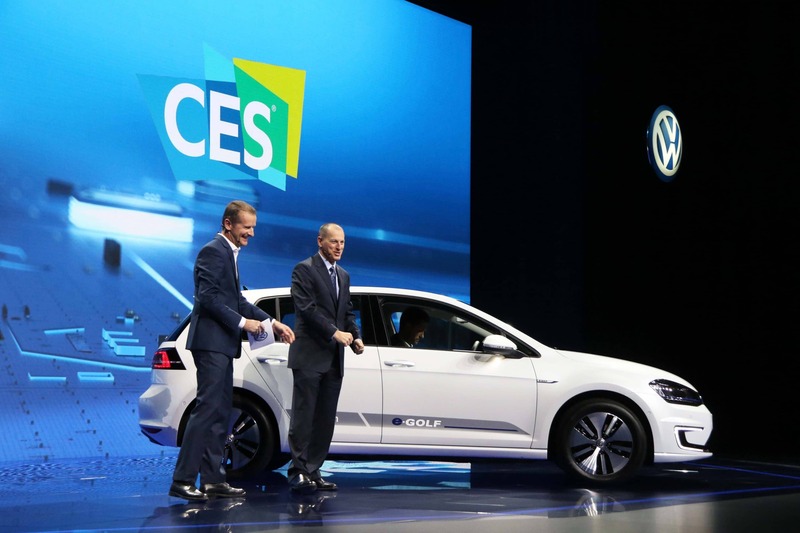 VW boss Herbert Diess, left,helps unveil the VW BUDD-e and eGolf Touch electric concepts. When the U.S. economy collapsed a decade ago two of the three Detroit-based automakers plunged into bankruptcy, surviving only with the help of a massive federal bailout – and that’s the fate that could be facing the German auto industry, as well, the CEO of Volkswagen warned today. The country’s powerful auto industry faces a 50:50 chance of suffering the same fate that nearly destroyed Detroit’s Big Three manufacturers, Herbert Diess said during a supplier conference in Wolkfsburg VW’s home town. 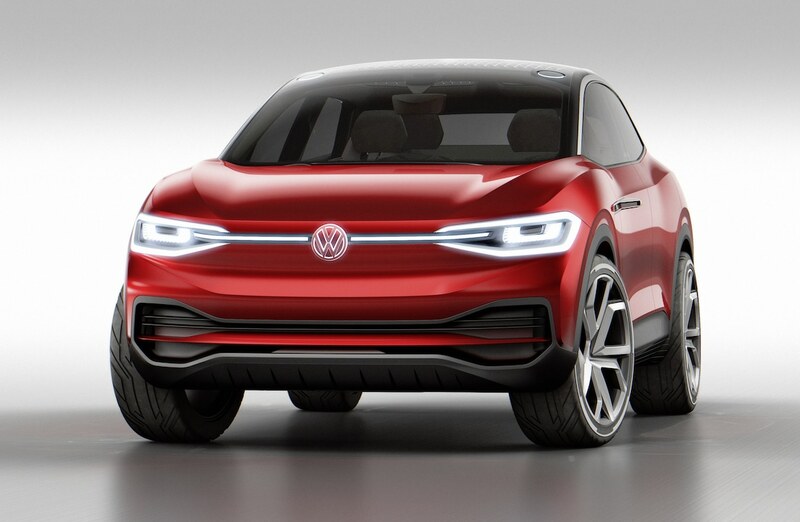 “From today’s point of view the chances are perhaps 50-50 that the German auto industry will still belong among the global elite in 10 years’ time,” said Diess, who was appointed VW’s chief executive earlier this year, following a senior management shake-up. The collapse of the domestic U.S. manufacturers was largely the result of the Great Recession which exacerbated years of management mistakes and other problems. But, during his speech at the industry conference, Diess suggested something else could cause the collapse of the German auto industry: increasingly strict regulations, especially those meant to slash automotive emissions in the European Union. Despite the hefty cost of its diesel engine scandal, Diess doesn't plan to abandon "oil burners." Some automakers simply can’t afford to keep up with the pace of change and, in particular, the cost of shifting from conventional gas and diesel powertrains to electric drivelines. That could put at risk more than 600,000 industrial jobs in Germany alone, the Volkswagen chief executive said, of which more than two-thirds would be at automakers, like VW, as well as automotive suppliers. Regulators around the world have been pushing the auto industry to clean up emissions, especially in China – where new rules require a big jump in the production of zero-emissions vehicles – and the EU. Several European countries have already either laid out bans on internal combustion engines or are considering such a move. Norway, for one, intends to end the sale of gas and diesel-powered vehicles by the middle of the coming decade. 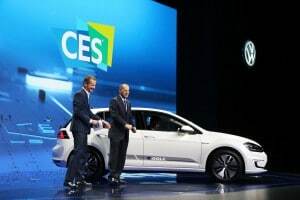 Volkswagen, in particular, has outlined plans for a rapid expansion of its own line-up of battery-electric vehicles, as well as conventional hybrids and plug-ins. It expects to have as many as 50 BEVs on sale through its dozen brands by 2025. But Diess recently stressed that VW doesn’t plan to abandon IC technology. In something of a surprise, he also emphasized that the company plans to continue producing diesels. 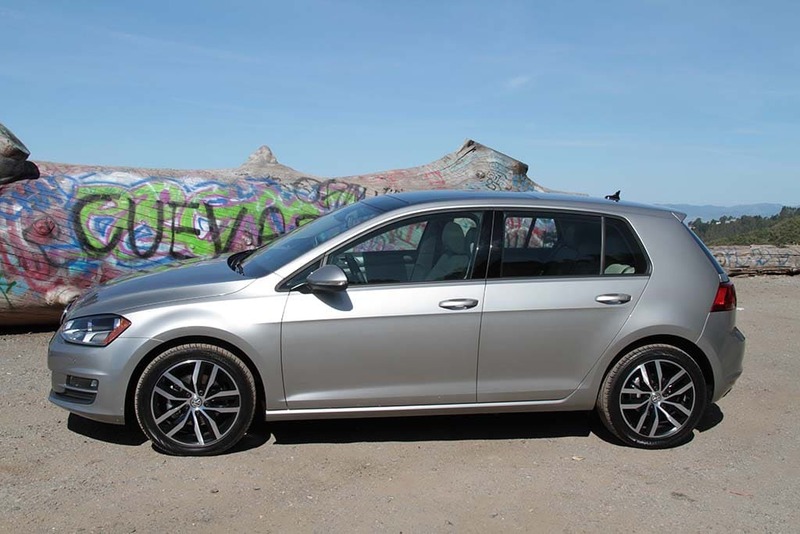 There had been some speculation Volkswagen might be phasing out that technology considering the problems caused by its diesel emissions scandal. It has already shelled out around $30 billion in fines and settlements in the U.S., and, if anything, things have been getting worse in Germany where the former Audi CEO Rupert Stadler is in jail awaiting trial for his role in the scandal. Other executives, including Diess’s predecessor Martin Winterkorn, may also be indicted, according to local reports. VW plans to have dozens of fully electric vehicles, like this I.D. Crozz concept, in production. Despite VW’s emphasis on green powertrain technology, Diess questioned just how clean electric propulsion really is. With Germany relying heavily on coal to generate electricity, he suggested the country could actually see a rise in CO2 emissions. Meanwhile, he added, a switch to electric vehicles would result in fewer jobs for several reasons: for one thing, because electric drivetrains are less complex and would need fewer workers to assemble. The other reason the VW CEO cited is that most batteries are now being produced outside of Germany, so many jobs would wind up being exported. German industry and government officials are trying to address some of the issues Diess highlighted, among other things by taking steps to increase local production of lithium-ion batteries. This entry was posted on Tuesday, October 16th, 2018 at and is filed under Audi, Automakers, Automobiles, BMW, Business, Concept Cars, Daimler, Diesel, EVs, Earnings, Electrified Vehicles, Environment, Financials, Fuel Economy, Hybrids, Investors, Lawsuits/Legal, Markets, Mercedes, Porsche, Sales, Sales, Technology, Trends, Volkswagen. You can follow any responses to this entry through the RSS 2.0 feed. Both comments and pings are currently closed. Isn’t there a viable battery other than lithium-ion, or other technology (such as capacitors) that can be used? Perhaps, just as it was in the early days of the automobile (late 19th, early 20th century) when the question was gas, steam or electric, maybe now it is battery, fuel cell, capacitor. Nothing yet, Allen, but there could be new technologies by the middle of the coming decade.